Rick is a "repeat" client. In 1996, Stacey & Jacobsen, PLLC represented Rick for a back injury he suffered while working on a fish factory trawler. That back injury forced Rick to seek lighter work. He took a job working as a tug captain for Joe Bernert Towing on the Williamette River. At certain times of the year, Joe Bernert Towing dredged gravel from the river bed. When the company was not allowed to dredge gravel, the tug crew would work on shore in the cement plant. During one of these periods when the company was not allowed to dredge for gravel, the owners bought an old gravel-digging crane from a seller downriver. In March, 2005, Rick was told to take his tug and barge and go load the crane onto the barge to be delivered to the cement plant. The loading of the crane onto the barge went without a hitch. Rick sailed the tug and barge with crane upriver to a location on the river where the crane could be driven off the barge. The company owner drove the crane off the barge. Rick and another worker were helping the driver line up the crane tracks onto the beams used to bridge the gap between the barge and shore. The crane driver was not familiar with the crane controls - he depressed one foot pedal which let the crane's gravel bucket swing free. The bucket swung toward shore and Rick and his co-worker. The co-worker was brushed by the two-ton bucket and knocked down. Unfortunately, however, the bucket crashed into Rick and came to rest on his left arm. 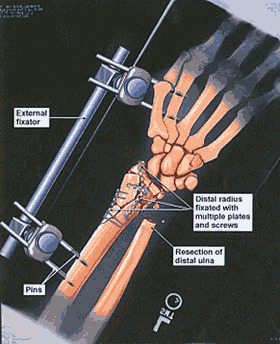 The doctors called Rick's injury an "incomplete" amputation of the forearm. So, with facts like this, the insurance company rolled over and paid Rick a fair settlement, right? No. That's not what insurance companies do. The insurance company argued that Rick's injuries were subject to worker's compensation, not the Jones Act. They claimed that Rick was a cement plant worker. The insurance company would only have to pay pennies on the dollar if Rick was subject to worker's comp benefits. We have our legal briefs on this subject in our archives section. We filed a motion with the court; we asked the judge to rule that Rick was a seaman. In a nutshell, a seaman must be assigned to a vessel and do most of his work on the vessel. We collected time sheets and took statements from fellow crew. All of a sudden, after we filed our motion, the insurance company wanted to talk about settlement. Rick decided to accept a settlement offer of $1.75 million. Many states have established guidelines that prohibit a lawyer from communicating past successes or financial results obtained if that communication is likely to create an unjustified expectation about results the lawyer can achieve. We support those guidelines because no two death or personal injury cases are identical and because past success is not a guarantee of future success. While no law firm involved in handling difficult cases gets a successful result every time, over the years the lawyers at Stacey & Jacobsen, PLLC have successfully handled many diverse cases in many different courts. The verdicts and settlements included on this page are for informational use only. Nothing on this page should be construed as a guarantee of results. The results in any case relate to the particular facts and circumstances of the particular legal situation. Results can vary widely given similar facts and circumstances.